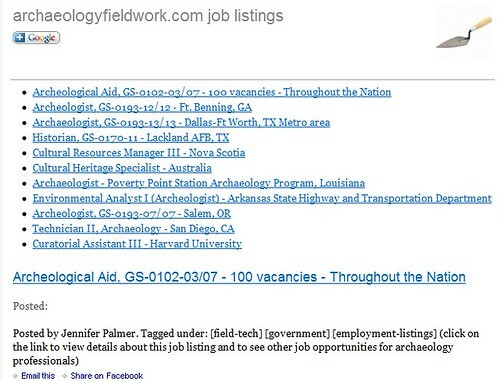 There are several ways to receive daily archaeologyfieldwork.com job updates. The first, of course, is visiting archaeologyfieldwork.com. 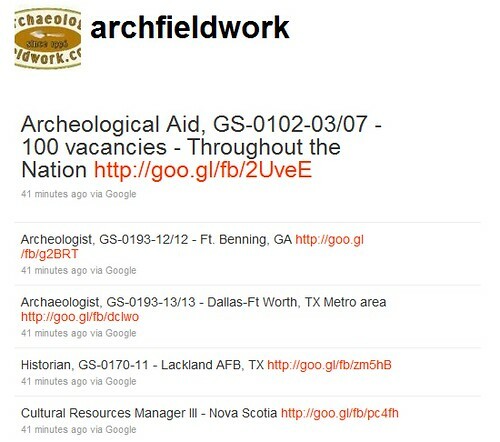 Thanks for your support, and for visiting archaeologyfieldwork.com. 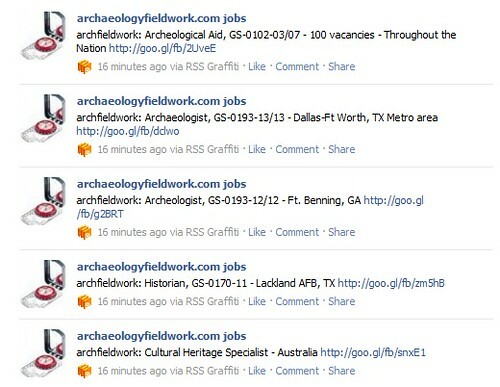 In the future we will also be developing a mobile phone app that will deliver alerts that will instantly let you know when a new job has been posted to archaeologyfieldwork.com. 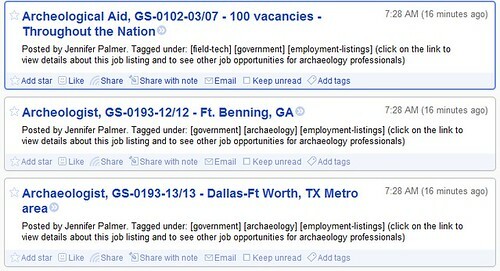 Next topic: "an important note about archaeology job posts on our Facebook page"
Previous topic: "employment listings forum guidelines "